37 73520-2179 - Steering Wheel Cover. 30 74550-2719 - Dash Knob. 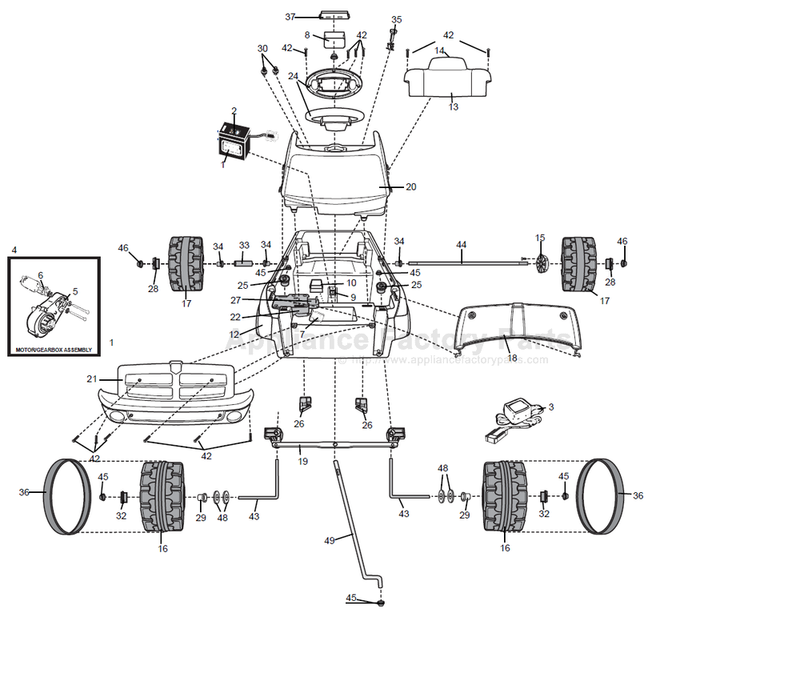 43 73241-4509 - Front Axle . 10 74780-9159 - Footboard Assembly. 32 73520-2439 - Rectangular Bushing W/ Circular Open. 36 73520-2019 - Traction Band. 42 0912-8001 - #8 X 3/4 Inch Screw.